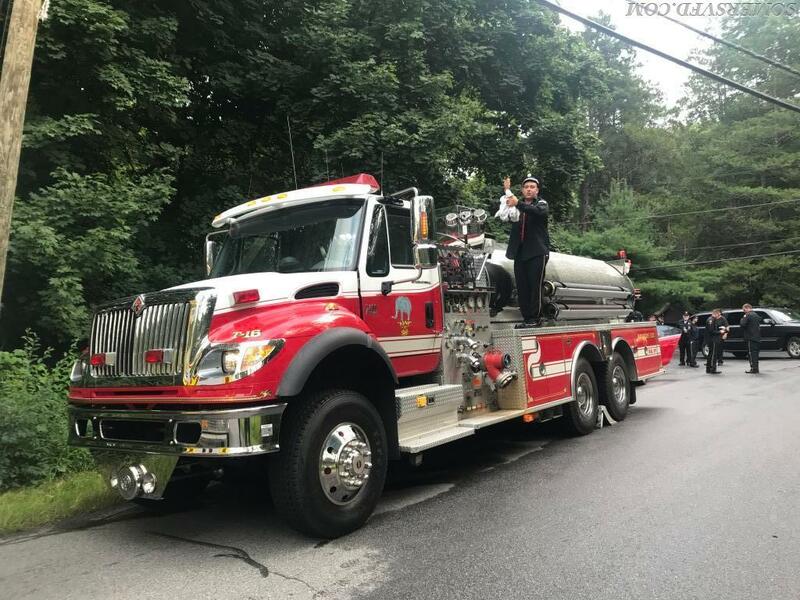 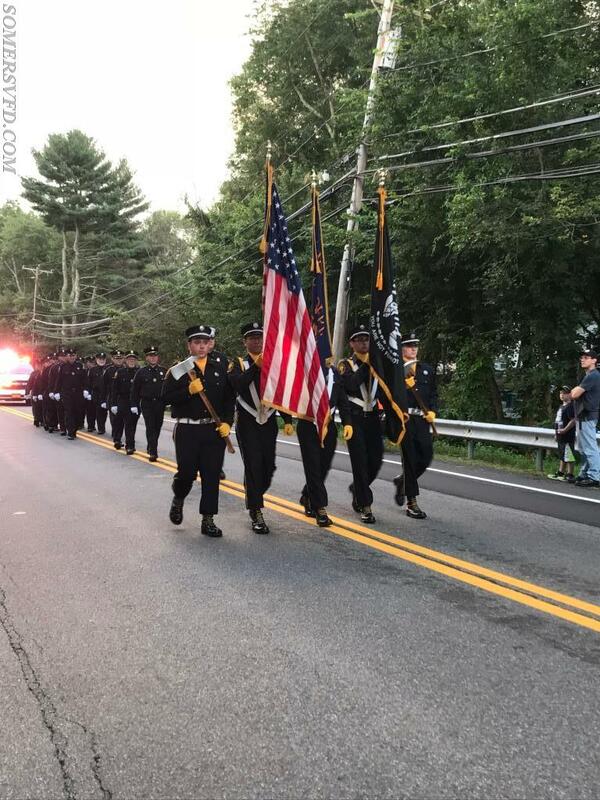 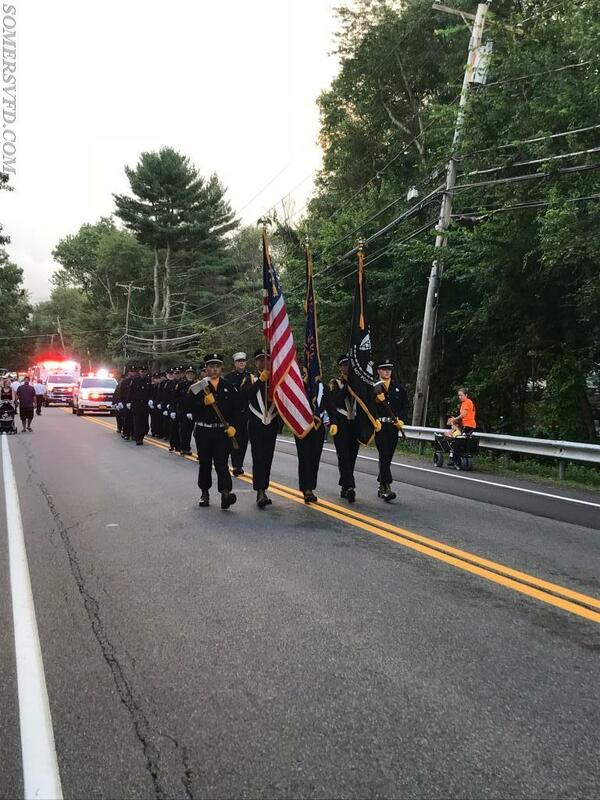 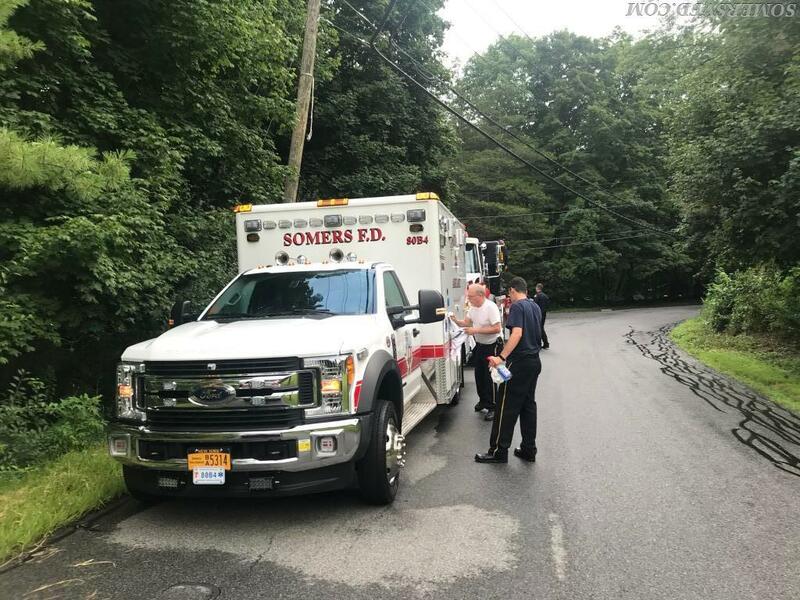 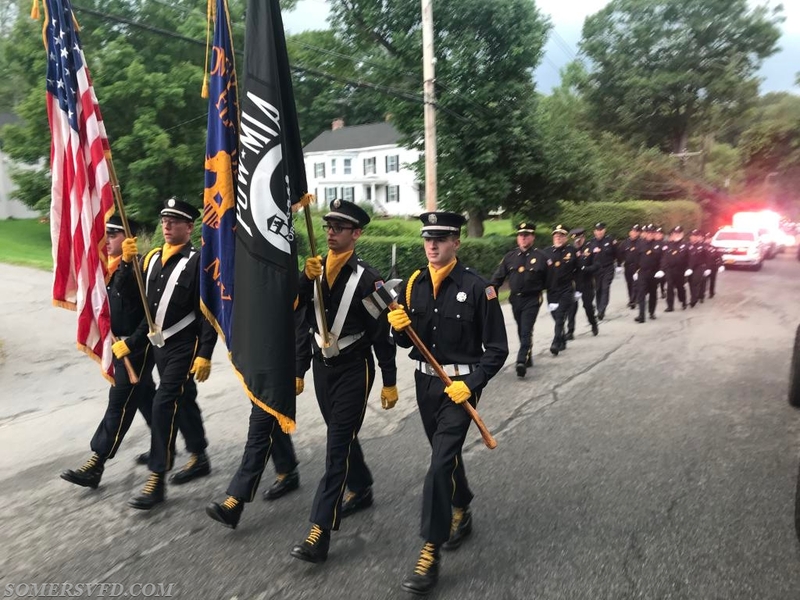 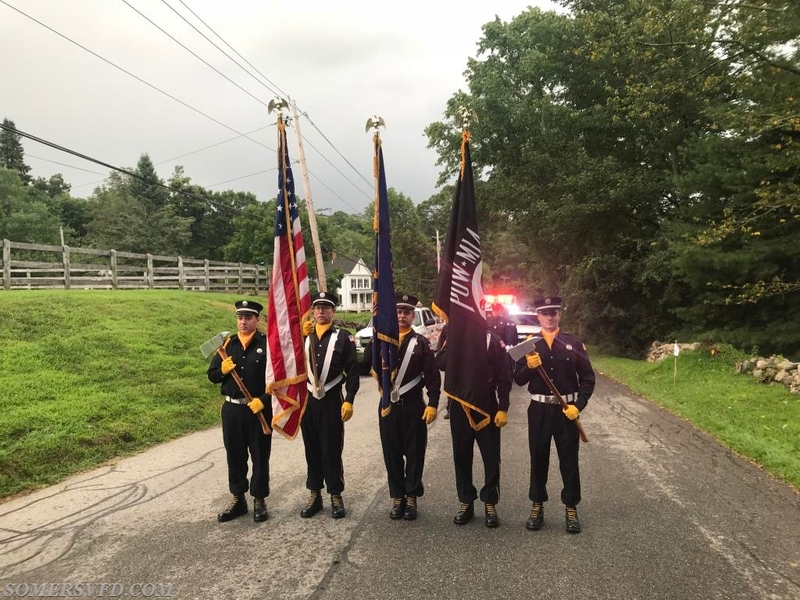 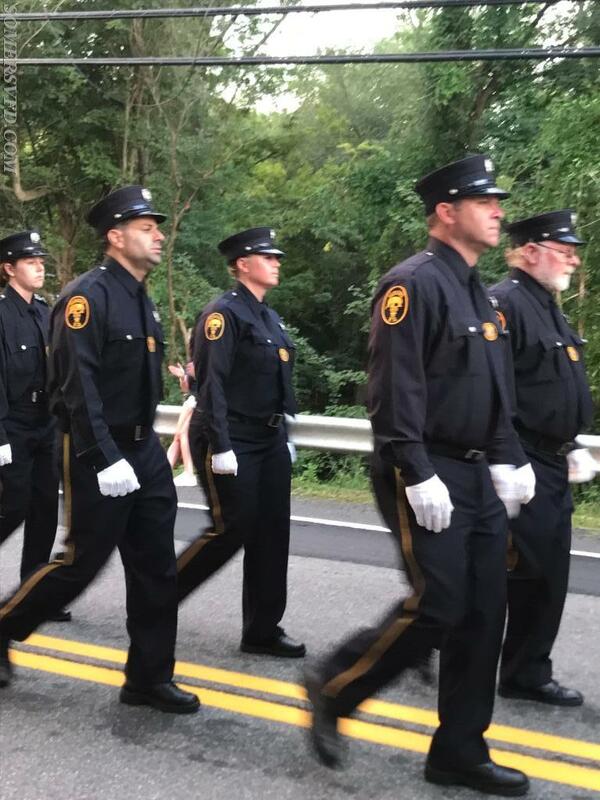 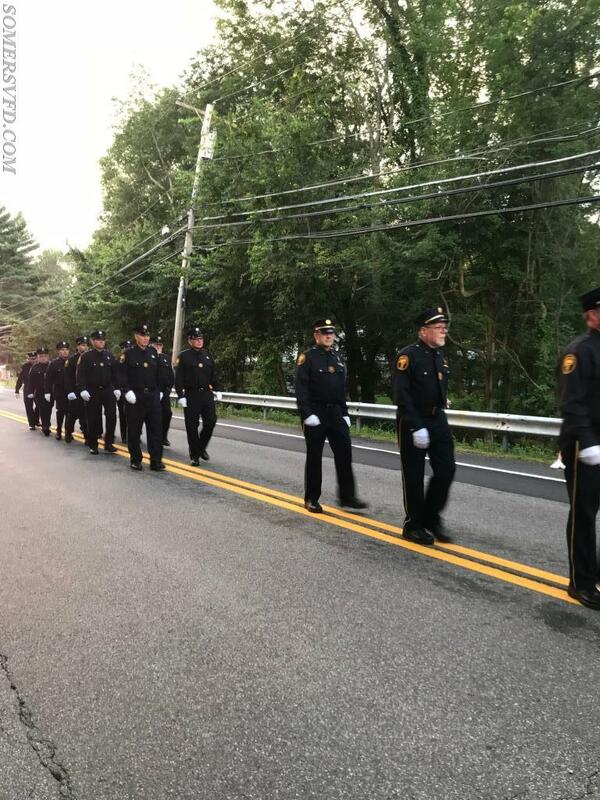 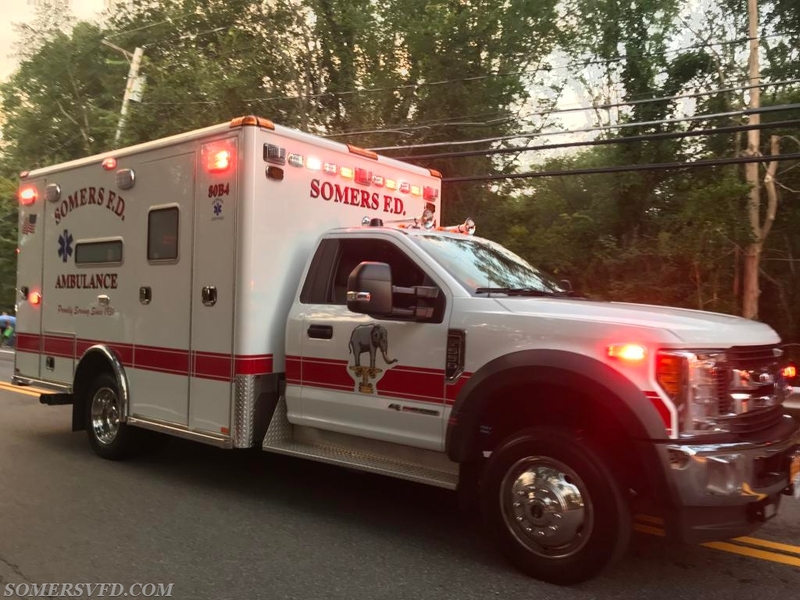 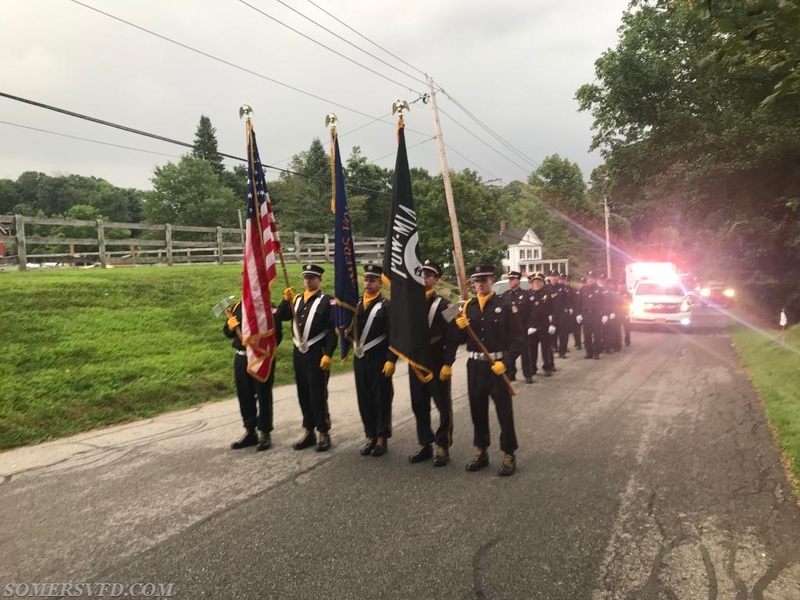 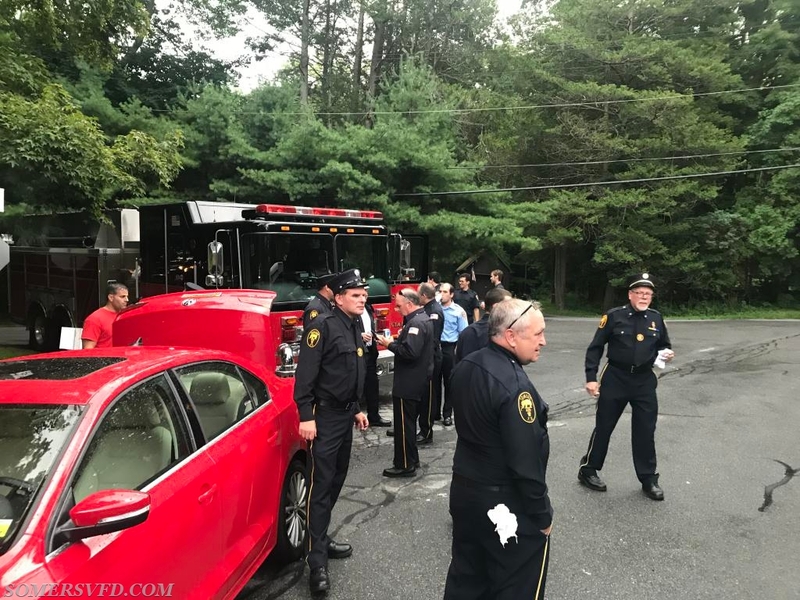 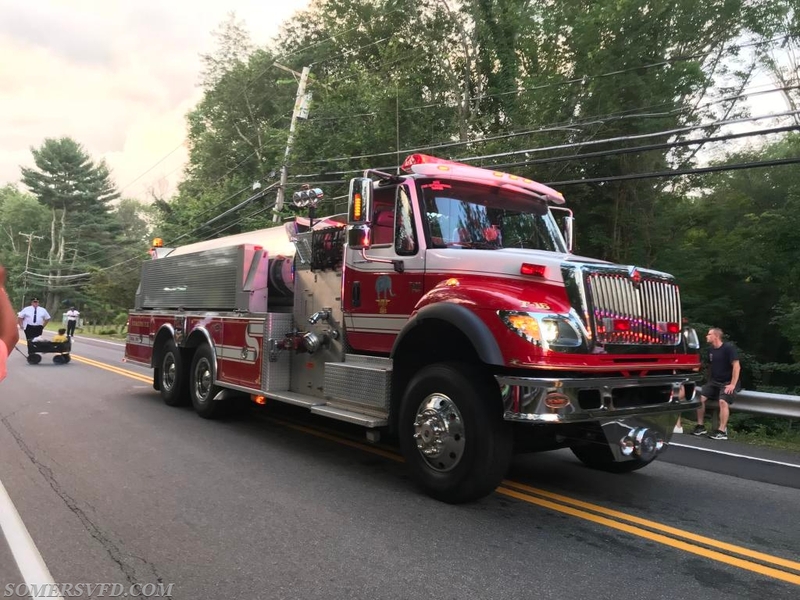 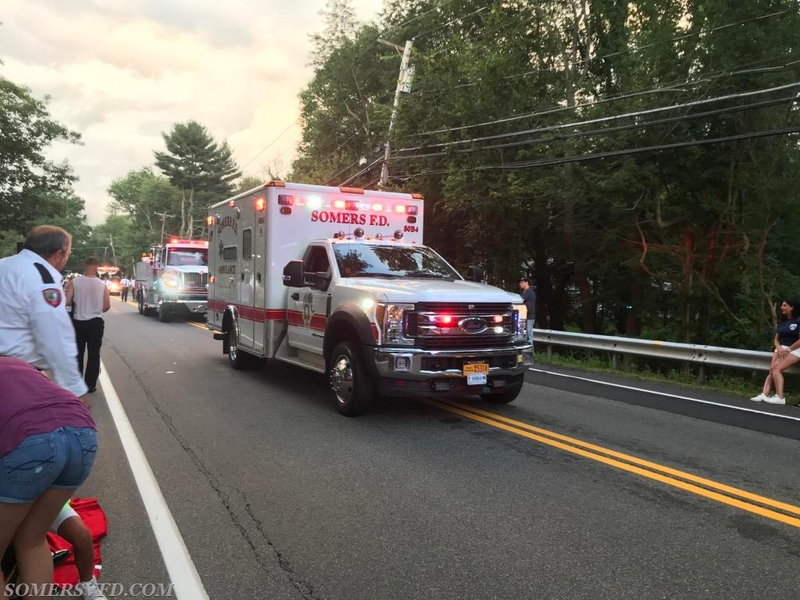 SVFD Wins at South Salem Parade - Somers Volunteer Fire Department, INC.
On Wednesday August 8th 2018, the SVFD and other surrounding departments participated in the South Salem Fire Department’s parade. 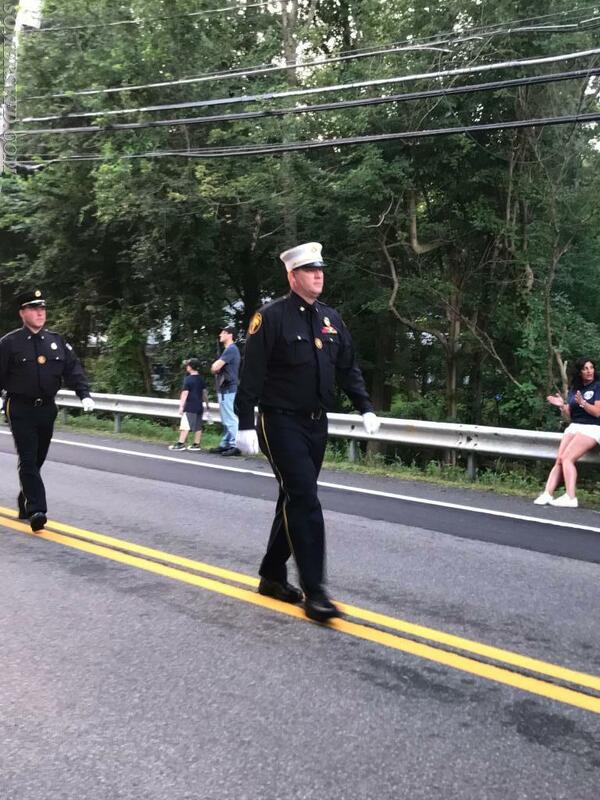 The parade route was down Route 35 from Spring Street to the firehouse. 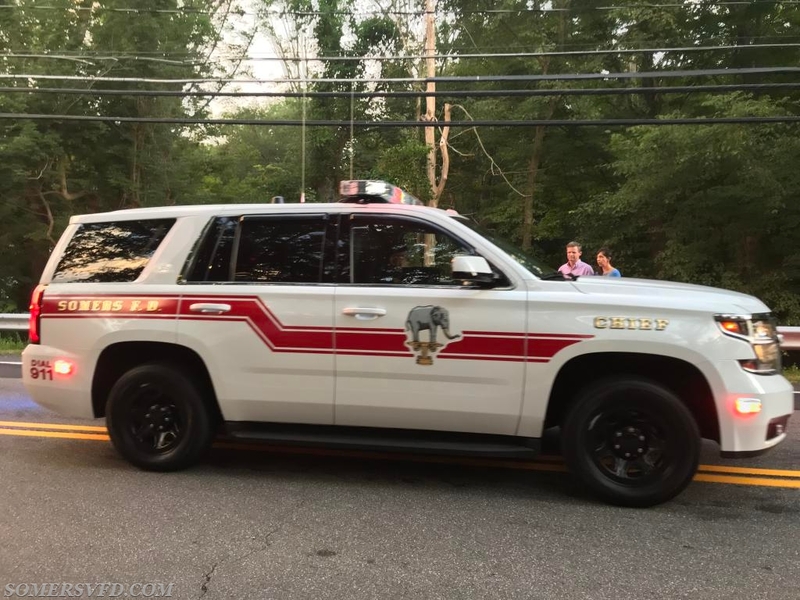 The SVFD brought Car 2442, Tanker 16, and ambulance 80B4 for judging. 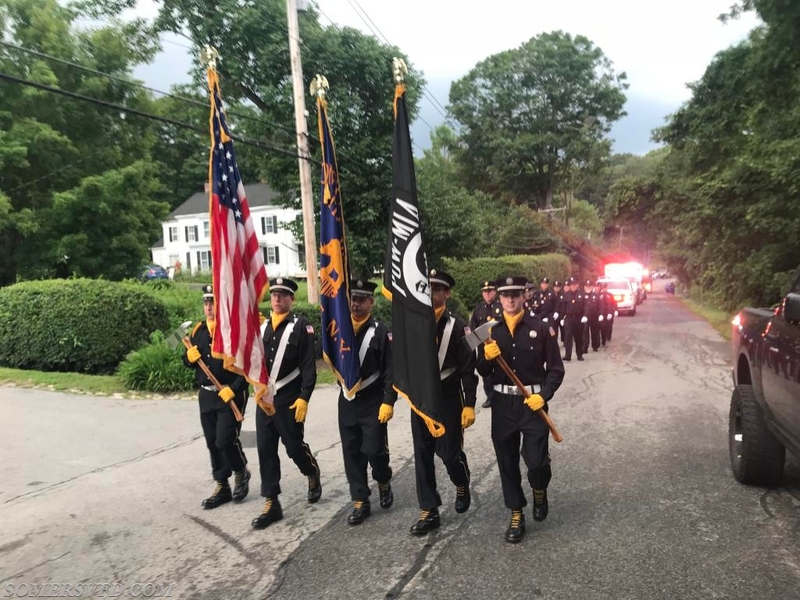 The SVFD had 22 members in attendance at the parade. 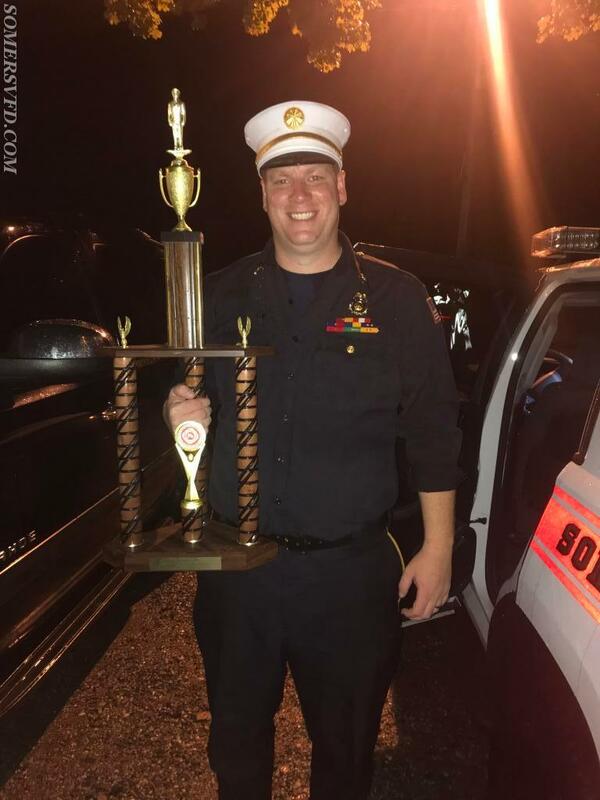 During the awards ceremony the SVFD was presented with the award for “Best Overall (in-state)” trophy! 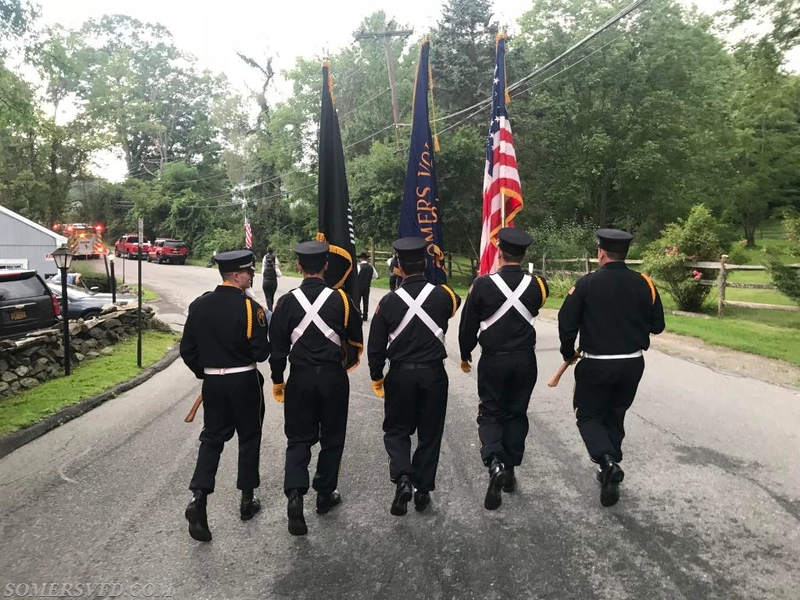 Excellent work by our members who worked hard to win this award! 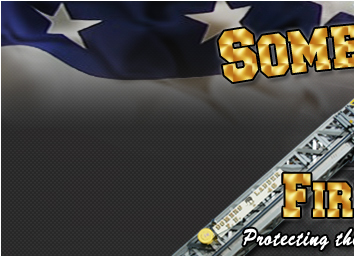 Thank you to the South Salem FD for a good time, even in the rain!